It seems the launch week of a hotly anticipated game can't pass without a problem keeping some folks from playing. Several tips and complaints we've received, and a long forum thread backing them up, allude to a specific problem facing Grand Theft Auto V: the game appears to crash on older models of the Xbox 360. This thread in gtaforums.com—which is not an official site—is full of users with something in common—Xbox 360 models manufactured (or refurbished) between 2006 and 2008. "I've probably reinstalled the game about 10 times now," said one user. "I'm thinking it might be my 20GB HDD? After I installed the game I probably [have] a couple hundred MB left. Could it possibly be a problem that I don't have enough excess memory after the install?" While hard drive size would seem to be an ideal culprit (the game has a mandatory 8GB installation, and older consoles typically have a 20GB hard drive) others say they run into freezing issues even with the larger capacity drives they bought for the machine. "Same problem here. Xbox from 2006, original 20gb model, sent in for repairs in 2009 for RROD," said another user yesterday. "I bought a 250 gb hard drive for it, but otherwise it's the same console I've had for years. I can't play for more than 30 minutes without the game freezing on me, and I've tried every troubleshooting step I've seen here and on other websites." He said he contacted Rockstar, got a form response advising him of steps to try and that he replied they didn't work. "I hope they find a fix for this problem soon, since the common denominator seems to be older Xbox 360's." The freezes seem to happen early on—"the cut scenes after the first mission," said one persistent user, who said he tried 20 times to get to a check point only to have the game freeze up on him at random afterward. Another gamer with a 20GB Xbox 360 ("with no HDMI port") tried installing the discs to different locations (hard drive for disc one, USB for disc two and vice versa) and then not installing disc two, and still encountering freezes. "20 gig 360 here. Having random freezing happening as well," says another user. "I've tried everything as far as installing with no success. Obviously the game is unplayable like this. Having a friend lend me a xbox, but this is ridiculous..."
I've reached out to a Rockstar representative to ask if the publisher is aware of any issue specifically affecting older models of the Xbox 360. If they reply (it's a weekend) I'll update this post with any response. This user, the one who originally opened the thread on gtaforums.com, said he was told by a Rockstar Support agent that "They are still in the process of gathering data and trying to determine if this is something that is patchable—at least that is what I was told." One user said he contacted Xbox Live Support, which provided the following steps for addressing the issue. "It worked for me," he said, noting later his problems occurred on the later-model Xbox 360 Slim. 1. Delete all GTAV game data. 2. Clear system cache three times. 3. Delete marketplace data from storage system items. 4. Unplug console for three minutes. 6. Power off, do not insert disc 2. While he did not encounter the freezing after three hours of play, another user said he still did after 30 minutes. 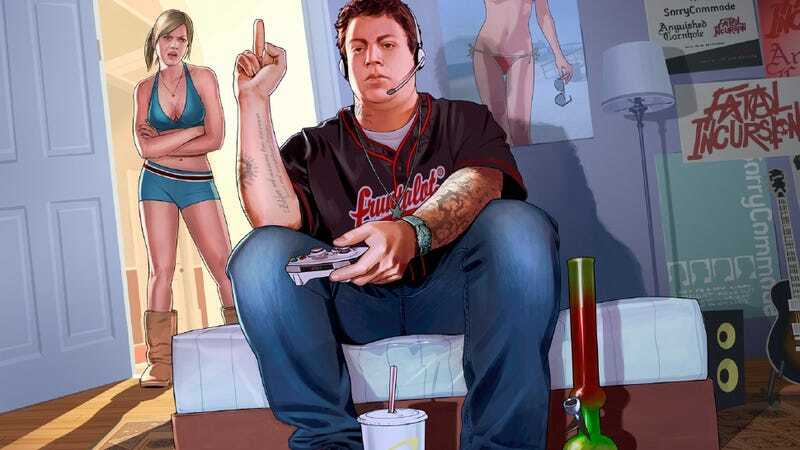 Rockstar's official troubleshooting statement asks users to delete all Grand Theft Auto V installation data, clear the Xbox 360's cache and re-attempt the installation. "If you are still experiencing the error, please try installing to a different memory device." If you have similar experiences with older consoles—or even newer ones—or have encountered helpful workarounds, by all means, share them in the discussions below.